made by Plumbers — a digital agency based in Newcastle upon Tyne producing websites, business systems, film and animation that make a difference. 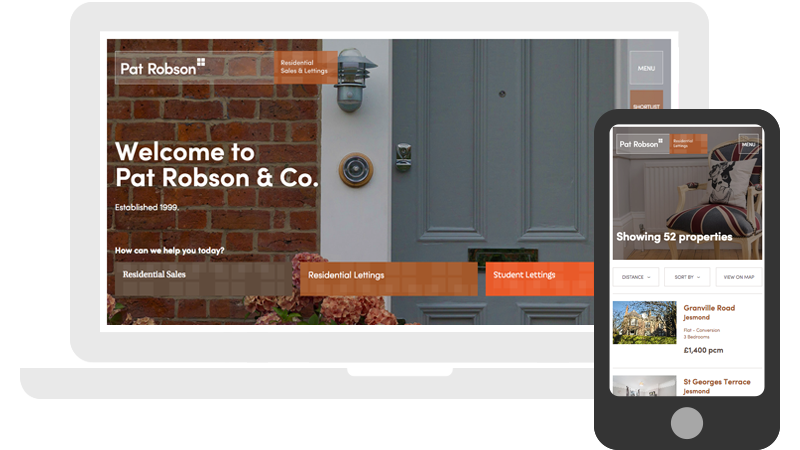 Design and bespoke responsive Wordpress theme development for Pat Robson Property Agents, including import of 3rd party property management feeds and online payments. 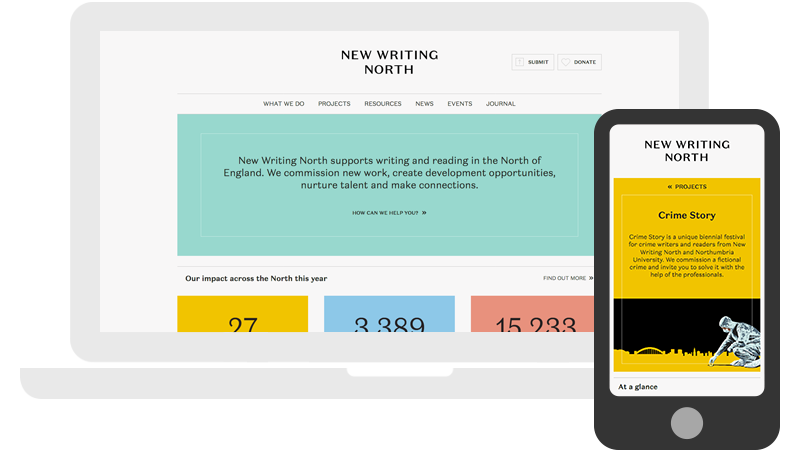 Design and bespoke responsive Wordpress theme development for New Writing North as part of ther brand re-launch. 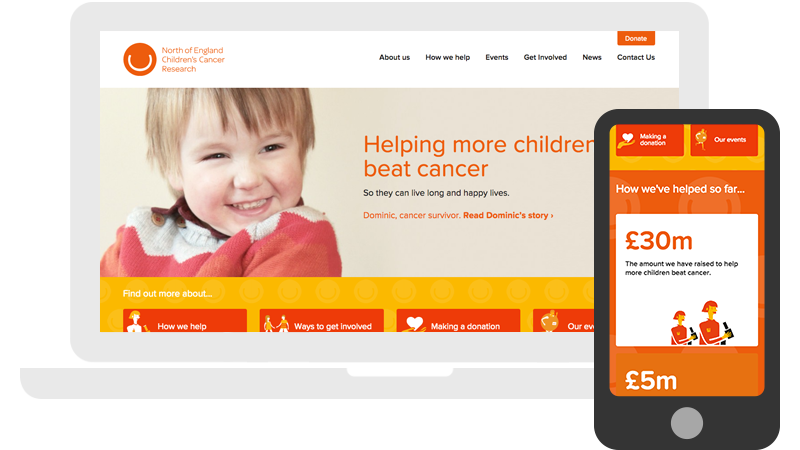 Design and bespoke responsive Wordpress theme development for the North of England Children's Cancer Research. 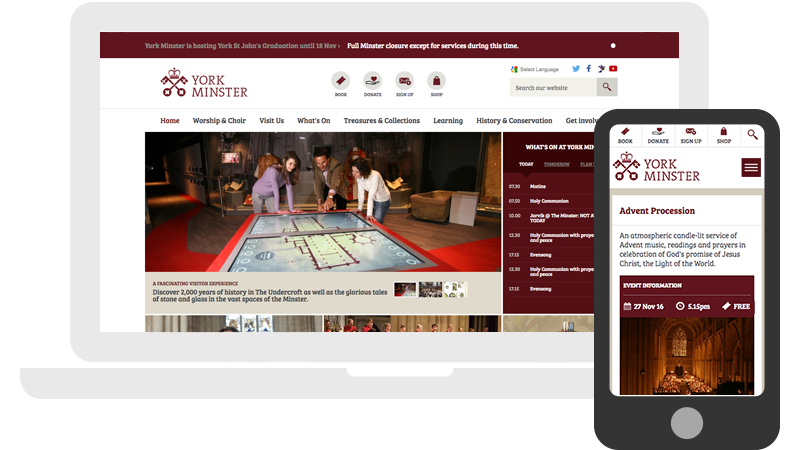 Re-design and front-end development of the website for the incredible York Minster. 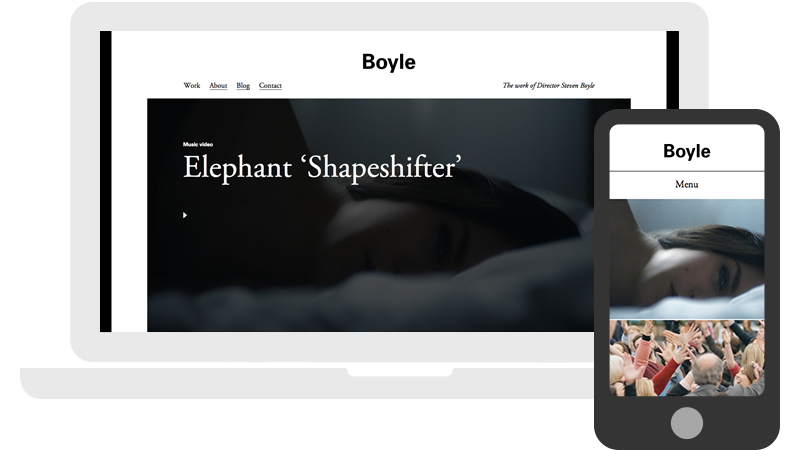 Responsive Wordpress theme design and development for director Steven Boyle. 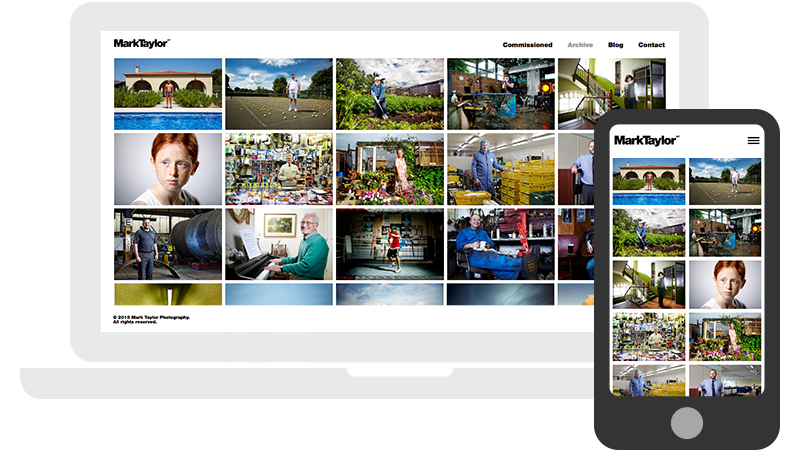 Design and bespoke responsive Wordpress theme development for photographer Mark Taylor. 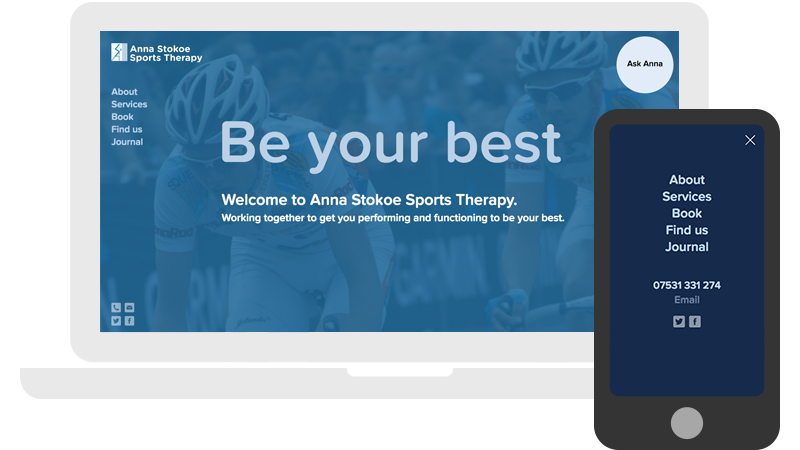 Design and bespoke responsive Wordpress theme development for sports therapist Anna Stokoe. 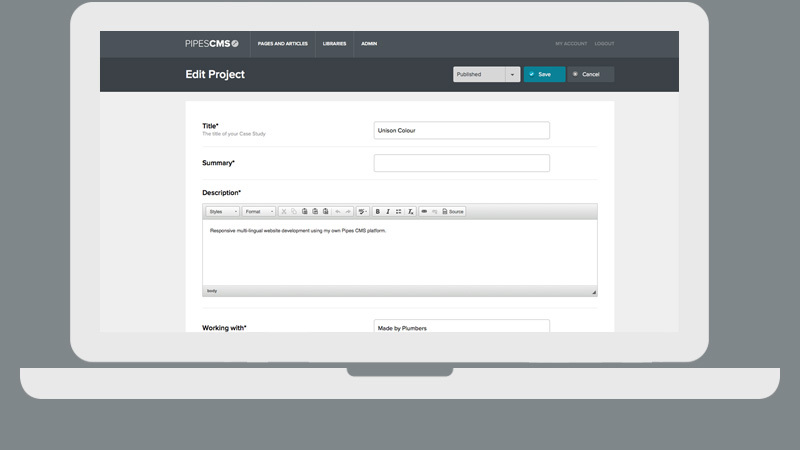 Pipes CMS is our own in-house CMS platform. The approach taken was to create an intuitive system that removes all of the unnecessary and confusing features that typical off-the-shelf systems offer. The CMS includes out of the box functionality such as pages, articles, multi-lingual and multi-territory support, CRM, E-Commerce, image / media asset management and manipulation, user management, a static caching system to serve html files along with many other customisations on a per-project basis.